From Roman times until the Age of Exploration, the Silk Road carried goods and ideas across Central Asia between two major centers of civilization, the Mediterranean Sea and China. 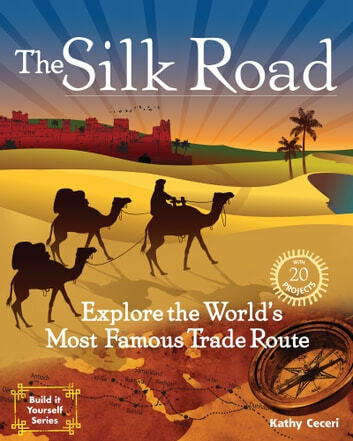 In The Silk Road: Explore the World's Most Famous Trade Route, readers ages 9–12 will learn about the history, geography, culture, and people of the Silk Road region. Marco Polo was just one of many who set out on the Silk Road in search of wealth, power, or knowledge. These adventurers braved vast deserts, towering mountain peaks, warring tribes, and marauding bandits. Silk garments, wool rugs, and fine glass were the prizes for those who survived the trip. Activities using everyday materials bring the Silk Road to life. Young readers will see how ideas in math, science, religion, and art were spread by travelers along with the treasures they found. 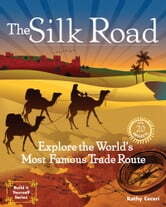 The Silk Road takes readers on an exciting, interactive adventure to a faraway place and celebrates its important role in human history and development.